Discussion in 'Article Discussion' started by bit-tech, 19 Oct 2018. I know -196°C is not exactly practical but, an increase in the maximum operating temperature of more than 70°C, is still a massive step in the right direction. Does this development mean we'll be able to levitate our HDD. This has been partially tested at my work - saw a few bits on it months ago - some mad stuff. You've got me interested now. What do you? I'm a Mechanical Engineer working for a large research complex at Harwell - Diamond Light Source. Wow. Any explanation of what's going on in this pic? The Nanoscience beamline exploits the brightest region in Diamond’s spectrum, providing a high photon flux density for soft X-ray experiments. 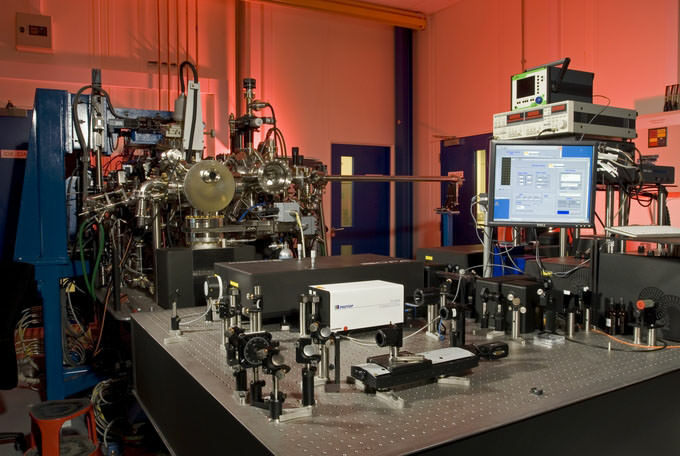 It combines microfocused soft X-rays with variable linear and circular polarisation and X-ray photoelectron emission microscopy (PEEM) to provide spectroscopic data on nanometre length scales. The intense polarised beam can be focused to a spot several microns in diameter, allowing the PEEM to probe nanomagnetism and nanostructures. The creation of a singularity that's going to call forth our robot masters. cobalt6700 and MLyons like this. It baffles me seeing people with proper valuable jobs, I trade media space which feels like playing with Duplo in comparison! There is an insanely huge difference between how easy things are to do at LN2 temperature, LHe temperature and <1 K so this is a pretty cool advancement. No, I work for a local company specialising in cryogenics. No, bigger company but not far off in distance.